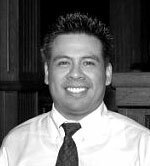 Before becoming a Licensed Massage Therapist, Tedy Narvaez spent 3 years in the Physical Therapy (PT) field. While completing his pre-PT curriculum, he volunteered his time and energy in several settings including the Outpatient/Rehab Department at the Florida Hospital, Pediatrics at Arnold Palmer, Geriatrics at a retirement community, and a Sports Injury Clinic in Altamonte Springs. He became aware that to be an efficient and successful therapist it takes more than knowledge, technique and experience. It was during this time that he learned the vital importance of touch, intent, and a sympathetic ear. He realized the significant role all of these played in the process of pain management and rehabilitation. Preferring a more hands-on approach, he left PT to pursue a career in Manual Therapy. He enrolled at the Florida College of Natural Health (FCNH), where he successfully completed the Basic and Advanced Medical Massage Programs. Soon after graduation, at the encouragement of his advanced instructor, he took a temporary position as a teaching assistant in the massage clinics. What was initially a transitional career move became a true calling. Within 3 months he was teaching massage clinics and assisting in the lecture classes. He found a passion for teaching that rivaled his passion to heal. He has been teaching at FCNH for almost 8 years and has been teaching the Advanced Medical Massage program for over 2 years. Recently, he was nominated for teacher of the year. He continues to develop and improve the advanced curriculum, proud of the fact that he graduates a select few 'elite' therapist each year. When asked what his goal is with teaching, he often responds with, "It’s not just about relating information, but to give them confidence, to inspire them in their chosen field, and to encourage a life-long passion for learning and self-growth that will remain with them throughout their lives." To facilitate the healing power within his patients, to treat the patients according to their needs, to inspire and motivate his colleagues by creating a fun and enjoyable work environment and to educate the public about the benefits of integrating massage into a medical wellness plan that focuses on self-awareness, stress-reduction, and preventative measures against pain and injury.